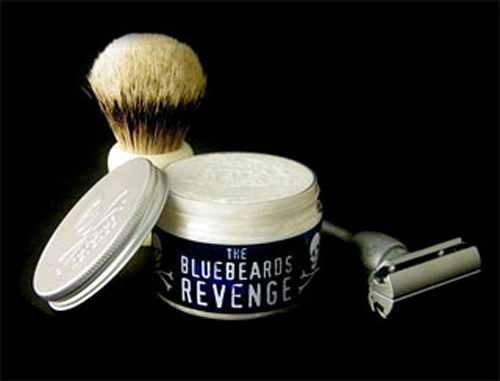 A new shaving product with a bold claim, Bluebeard’s Revenge, states that it will soften even the toughest beard hair and keep it growing back softer than before. The key? They say the active ingredient, ‘decelerine’, provides a real medicated lather that makes even the most wiry stubble yield to your blade. Check it out at Bluebeard’s Revenge.